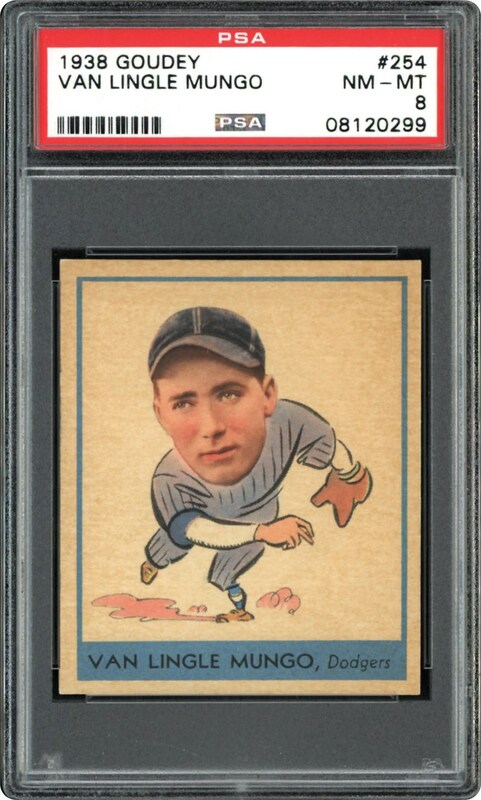 Lot # 104: 1938 Goudey “Heads-Up” #254 Van Lingle Mungo (PSA NM/MT 8) - “1 of 4” & HIGHEST GRADED Example! 1938 Goudey "Heads-Up" #254 Van Lingle Mungo (PSA NM/MT 8) - "1 of 4" & HIGHEST GRADED Example! 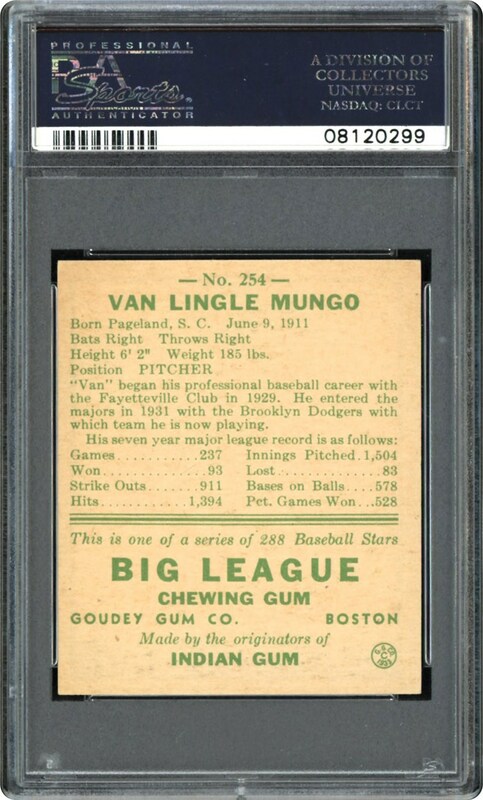 Brooklyn Dodgers right-handed twirler Van Lingle Mungo may not be a Cooperstown Inductee, but his scintillating 1938 Goudey PSA NM/MT 8 offering easily qualifies for cardboard Hall of fame stature. One of only 3 specimens at this exalted tier, it resides as one of the four finest examples on the planet! A bright central image exhibits near-perfect centering; affixed to an ultra-clean surface that ends at a razor-sharp perimeter. A cardboard masterpiece to say the least, it is no ordinary "common" and merits the highest hobby accolades via its awe-inspiring eye appeal and pinnacle grade!